Oxides charge referenced to adventitious C1s peak at 284.8eV. • Collect XPS valence band spectrum to distinguish between SnO and SnO2. 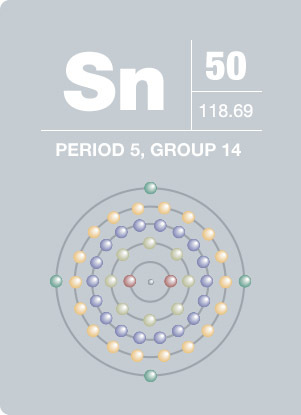 Sn3d region has well separated spin-orbit components (Δmetal=8.4eV). Loss features are observed to higher binding energy side of 3d3/2 spin-orbit component for Sn metal. 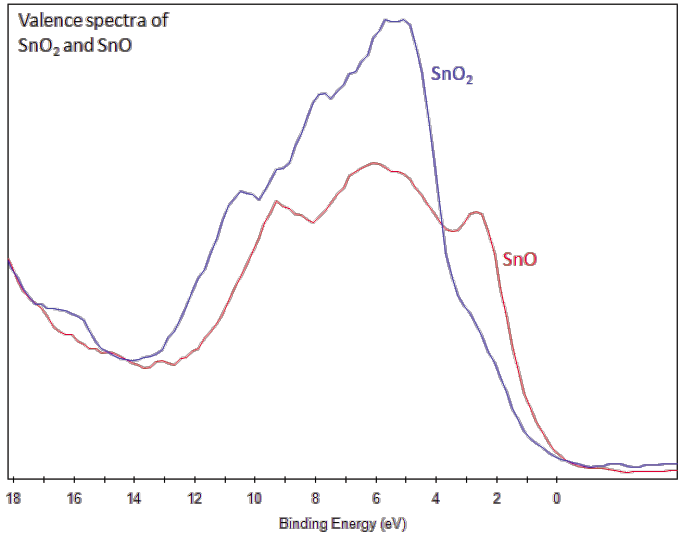 SnO and SnO2 have similar binding energies. Use XPS valence band spectrum to distinguish between these oxides. According to archaeological evidence, it is believed that people have been using tin for at least 5500 years, making it one of the earliest known metals. Comprising a small fraction of the earth’s crust, only about .001 percent, tin is obtained and extracted from the mineral cassiterite. There are two allotropes or forms of tin that occur at room temperature; one of them being gray (alpha) tin and the other white (beta) tin. Grey tin has few cases, while white tin is widely used in coating beverage cans and in foils to inhibit rust. A large percentage of the world’s tin is extracted from placer deposits, with at least one-half of the world’s supply of tin coming from Southeast Asia.